Title: Een kreatieve? traditie? Bruno Taut. Een kreatieve? rraditie! / A creative? tradition? 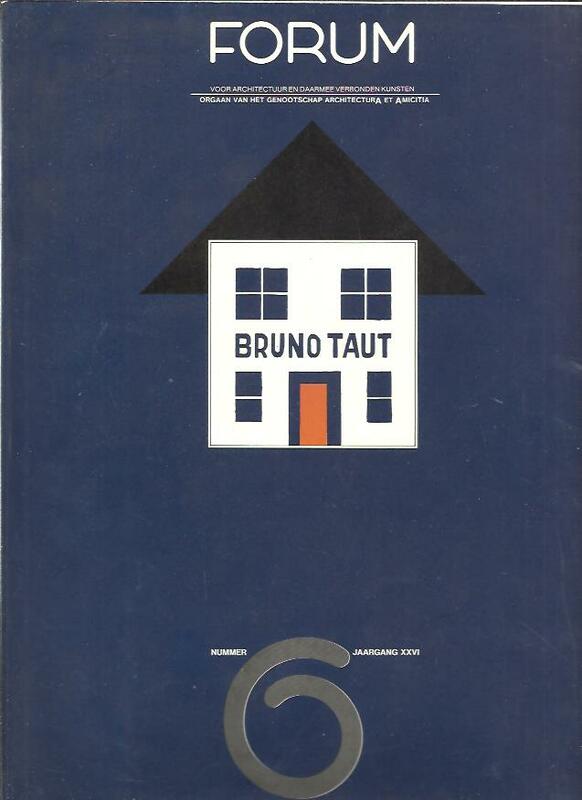 Bruno Taut. A creative? tradition! [ Forum voor architectuur en daarmee verbonden kunsten Nummer 6 Jaargang XXVI]. Description: Amsterdam, . 48 pp. Original wrappers. Illustrated in b/w, and few in colour on backcover. Text in Dutch and English. - Rudy Uytenhaak graduated in 1973 at the Eindhoven University of Technology with a thesis on the Berlin architect Bruno Taut which was published in the journal Forum, of which he was editor between 1978 and 1984. - Good copy.